Despite advances in technology most small and medium sized businesses still use paper check lists, email chains or spreadsheets to track their business processes. Because until now Business Process Management Systems - BPM and Business Workflow Software solutions were overly complex and expensive! Flowmingo changes that. 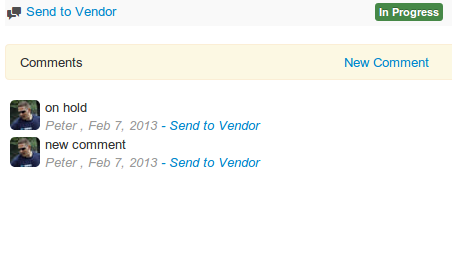 We offer a simple web based Business Process Management Software system that anybody can use. Setup your first business process in minutes! A fast and intuitive web interface — optimized for your productivity. 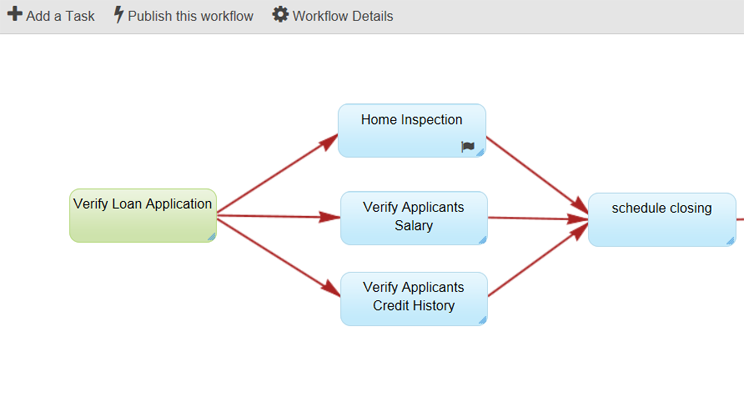 Quickly create and improve your Business Processes in our intuitive drag and drop web based workflow designer. Right from your browser. No programming needed. No programming allowed! 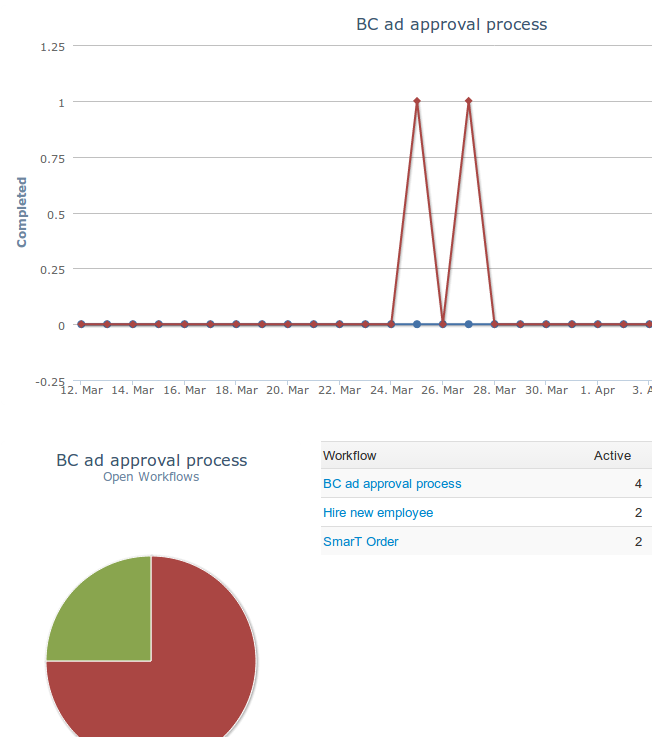 Easily monitor your business processes and tasks using an easy to understand and intuitive interface. 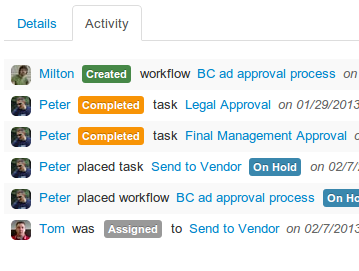 Workflow Automation using one time and recurring scheduled processes. 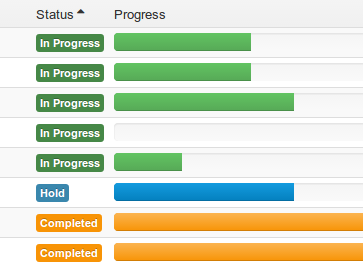 Powerful dashboards help keep your user's workflows and tasks centralized. 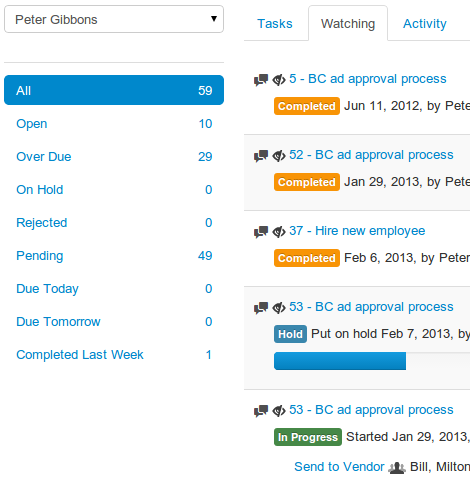 Users are able to view all their tasks, workflows and recent activity all from one, intuitive screen. Enhance your workflows performance by discovering and analyzing business process inefficiencies with easy to understand reporting. Learn more about the unique features of Flowmingo, or see our plans & pricing.